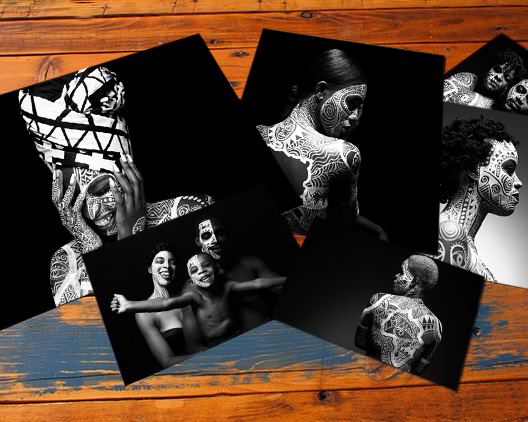 We provide African Inspired Tribal Body Art on men, women and families for a cultural experience translated into beautiful photographs. We believe that our job is not only to take your pictures, but to truly capture the heart and nature of your event. We absolutely love what we do, creating visual images that excite our clients. 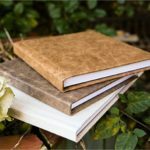 There's no better way to share your experience with family and friends than to display your images on in a custom leather Album, Fine Art Prints or Gallery Wrap Canvases. 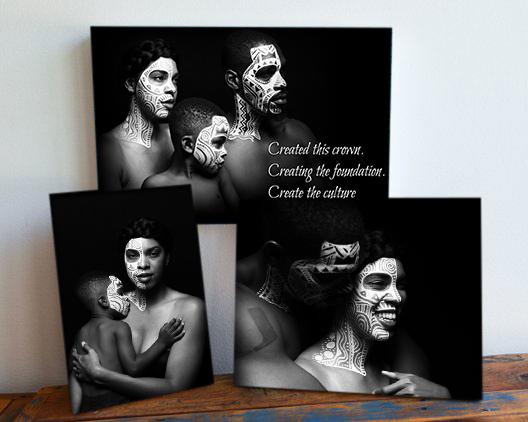 African Tribal Art Project is here to provide the and build the album that will perfectly show off your experience. Ranging from a 4x6” to an 11x14” and many sizes in-between. If you want our designers to build you a custom photo album from scratch, that is not a problem either! 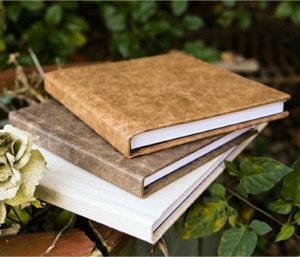 Top your album off with one of our cover options: leatherette; genuine leather or photo wrap. With our quick turnaround time of 30 days or less, your flush-mount album will be ready to go in no time! 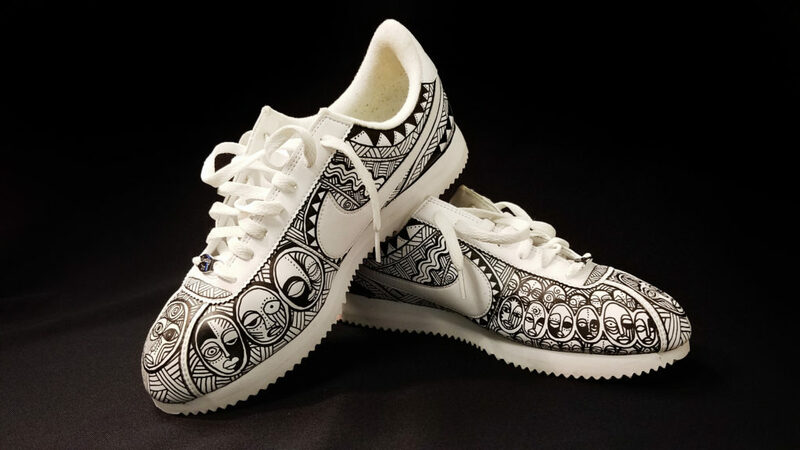 Would you like to see our style of Tribal on your shoes, jacket, pants or other fashion accessories? We are available to provide custom painting on literally anything. Contact us through the Contact Us Page to tell us how we can help. 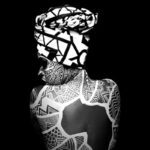 Limited Edition Prints are highly sought after by collectors around the world. All limited edition series prints come with a letter of authenticity and mounted behind acrylic ready to be hung on your wall. 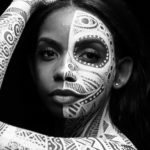 Need our style of Tribal for your fashion show, music video, photo shoot or event. 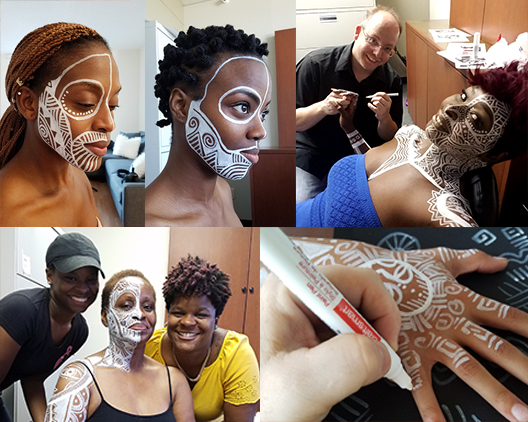 We are available to provide body painting. Contact us through the Contact Us Page to tell us what you need. If there is something special you have in mind, please do not hesitate to contact us with any questions you may have.